Anker MFi Certified iPhone Lightening to USB Charging Cable(3ft/ 0.9m) £4.93 (Prime) / £9.42 (non Prime) Sold by AnkerDirect & FB Amazon. Snap! Where is the discount code? I thought the partridge comment was funny. Didn't get the dota one I'm afraid. You've made my day pal. Hope the ligma clears up. An app. I think you meant there is an app for that, not a app. Anyway, I'll make sure, from this moment on, I use apps to learn everything I know, so that one day I can be someone who knows about online chess games, boating in Norfolk and how to make decent people dislike me within 2 posts. Subjective humour I see. There is a app for that. Ah I see. I guess you feel a bit silly because Steve Coogan is absolutely rinsing people who go boating in Norfolk, so you feel you need to deflect the attention back on to me and my tiredness. Gotcha. How to turn comedy/fun into an argument in 2 posts. Absolute mood hoover. Looks like deal has finished. I have grown up in a world where separates where the the norm, reel to reel tape decks, amps, turntables, speakers with mid range, woofers/tweeters. no way is a farting little speaker like this going to produce mind blowing sound, not to me any way. There is no way it can, it is beyond the laws of physics. It can no doubt produce a good sound for its size. Just realised I have the first version of this speaker not this model. I assume it will be as good or better but i haven't actually heard this one. 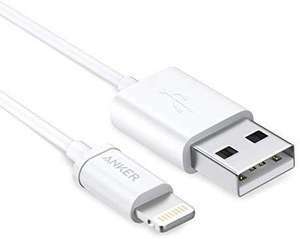 I have both and this Anker one is better. The Sony speaker has too much bass and distorts. 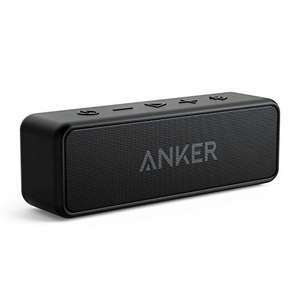 For it's size this Anker speaker is first class. I sit mine in the cupholder in my car. I find actual “real people” reviews on YouTube to be a decent source of finding what a product is like. After watching a few about these the general consensus seems to be good sound, not too base heavy good quality build with the downside being the noise cancelling being average. I agree never use fakespot. I rely on Amazon reviews and use common sense. Fake reviews are obvious if any. Right, so this is an opportunity to point out how Fakespot is absolute garbage. Fakespot says that 46.9% of the reviews are reliable. If you try a worst case scenario - i.e. calculate an average score of the worst 46.9% reviews, you still get a score that far exceeds the 1 and a half stars that Fakespot awards. Furthermore, at the time Fakespot 'measured' a 1.5 star average, there would only have been one review with 1 star, and one review with 2 stars. It's pretty obvious that Fakespot is absolute garbage - it's what it claims to stop. Received today and whilst the sound quality is good the noise cancelling function is poor. Still good value if you’re after a pair of Bluetooth cans with separate ancillary power pack and selection of cables but if the noise cancelling is the thing you’re buying it for I’d look elsewhere and be prepared to stump up a couple of hundred extra for it. Great deal! I have a set of Anker in ear headphones and the quality is outstanding. If these are anywhere near as good then they are an absolute steal at this price. I’ve got the Liberty upgraded version (so not the plus, but the ones with 100 hour battery). They punch well above their weight, and imho are amazing for the money. I use them every day for the gym and general every day carry. I’ve been through a fair few earphones (from Chifi through to high end customs) and I stand impressed with these for what they are. You press and hold 2 buttons on the inline remote and it changes the sound. One is 'normal' and the other more bass heavy. How do you enhance the bass on these? Do they have an app or are you just referring to e.g. the default Android equaliser? I would buy this, but I will wait to see the is inshore for the new MacBook Pro this year. Good price though for Anker stuff. would this work with a note 8 ? Can you do much with this and the iPad Pro ? Also missing a USB-C port which is essential to using this to charge your laptop and have a second monitor connected with just a single connection. 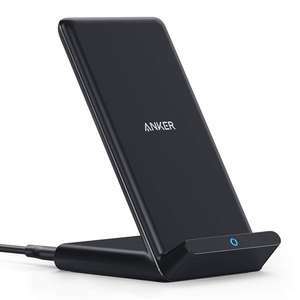 Anker PowerCore 20100 - Ultra High Capacity Power Bank £30.99 with £2 voucher coupon Sold by AnkerDirect and Fulfilled by Amazon. I bought one of these, it didn't charge. Oh I see that's a deal stack. 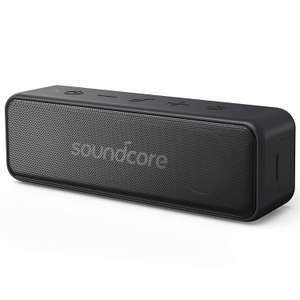 Great little speaker with great sound, bargain at £16! I have one and love it. Yeah, great speaker, great volume and battery life. Also plays FM radio and songs from a memory card. Buy it, you won’t be disappointed. Ordered thanks. Can't go wrong for £35! Needed cheap spare headphones with good sound quality. Yes, but not with this cable though. If you purchased a PowerLine+ II, then a case would come with it, regardless the color and length. Looks like the promotions have changed. Expired now. Hi! Is the free case still available?